How Are Payroll Regulations Different between Canada and the US? Whether you’re a US company looking to pay workers in Canada or a Canadian company hiring American employees, you’re probably concerned with payroll regulations. You may be fairly sure you’ve got the basics down in either country, but you also know there are different rules you may not be familiar with. Just what are the differences between Canadian payroll and American payroll? This guide will give you a quick overview of some of the key variances. One of the first things employers should determine is whether a payroll regulation exists at the federal level in Canada or the US. You’ll want to note which regulations are governed by provincial or state legislation, which can mean huge variation across the country. One notable difference is in the legislation of minimum wage. In the US, there is a federal minimum wage, which sets a floor across the country. Individual states can adopt a higher minimum wage if they want. In Canada, the minimum wage is set by the provinces and territories. The situation is reversed when it comes to unemployment insurance plans. In Canada, the Employment Insurance (EI) program is a nationally run program. In the US, unemployment insurance is governed by the individual states. You’ll need to pay close attention to the differences between what’s federal and what’s not. Then, you’ll need to note the differences between states or provinces, especially if you operate in many locations. Both Canada and the US allow for overtime work. They also designate some employees exempt from overtime. As an employer moving across the border, you’ll want to be sure you read the new definition of overtime-exempt employees very carefully. 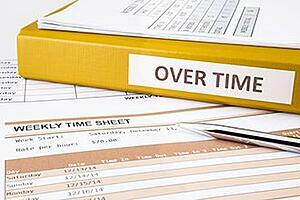 In Canada, for example, employees paid an annual salary are not exempt from overtime pay. In the US, a salary test is used to determine if overtime pay is necessary. Again, there can be differences at the provincial or state level. 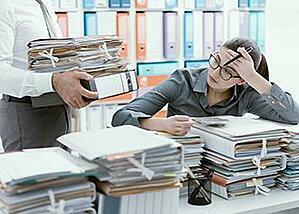 In Canada, for example, Quebec law states managers are usually exempt from overtime pay. In Nova Scotia and Prince Edward Island, however, employees in management are usually eligible for overtime pay. In the United States, the law permits “at-will” employment. This means an employee or employer can terminate the employment relationship at any point in time, for almost any reason. Unless you’ve opted to create severance packages for your employees, you probably won't need to payout anything for an employee who is terminated without notice. This isn’t the case in most of Canada. You should check legislation in individual provinces, but you’ll need to give notice to most employees if you wish to terminate their employment. You’ll also need a good cause to do so. If you don’t give proper notice, you may need to compensate the employee instead. You probably know Canada has a public healthcare system, which is funded through taxes and sometimes through levies on employers. In any given province, you may end up paying a set amount to the provincial government for your employees’ healthcare. In the US, you’ll be expected to withhold for your employees. This withholding includes their income tax, as well as FICA payments such as Medicare and Social Security. The rules around these sorts of payment differ between Canada and the US, so you’ll need to check them carefully to make sure you’re remitting them correctly. Benefits are treated very differently in the two countries. Fringe benefits offered in Canada are sometimes taxable, and you’ll need to determine whether they are where you operate. The fundamentals of payroll in both Canada and the US are more similar than you might think. The differences are often in the details. If you keep a sharp eye out and enlist expert help from a PEO, you’ll be well on your way to trouble-free payroll, no matter where you do business. Payroll administration has many legal dimensions. In Canadian payroll, you’ll need to comply with the rules and regulations set out by the Canada Revenue Agency (CRA). The CRA levies penalties against non-compliant businesses. In some cases, payroll issues may even trigger an audit. Of course, avoiding an audit is best practice. Audits can be time-consuming and costly, so it’s best not to need one in the first place. If you steer clear of these four issues in Canadian payroll, you’ll reduce your risks of being audited by the CRA. Record-keeping in Canadian payroll is important. In fact, it’s not just an audit issue. Record-keeping can also be a matter of criminal investigation. Before you’re accused of anything, however, it’s likely the CRA will audit your books. If it finds your record-keeping lacklustre, the CRA will demand additional reviews and may levy penalties. Keeping good records for your payroll activities is thus important for your business. The audit issue shouldn’t be the only reason you keep good records. Good records can help you ensure you’re staying within your budget. It may also assist if you find there are more tax credits you can claim. Good records also make it easier to resolve issues, especially if an employee disputes their paycheque. The CRA asks employers to remit their payroll deductions on a regular basis. Generally speaking, you’ll be asked to remit your payroll deductions once per pay period. If you pay your employees biweekly, you’ll be asked to remit to the CRA on a biweekly basis. You’ll be given a calendar of the due dates for these payments. The CRA levies penalties for late remittances, but if your payments are very late, you may be charged with “failure to remit.” The CRA will then investigate your business to determine whether you’ve been deducting from payroll correctly and, if so, what you’ve been doing with the funds you owe to the agency. Remitting your payroll deductions on a regular basis is the easiest way to avoid this audit issue. While you may not send in your deductions on time every time, ensuring you withhold correctly and remit on a regular basis makes it easy to avoid this issue. The CRA may decide to audit you if you’ve incorrectly taxed benefits. While you may simply be unaware of which benefits are considered taxable and which ones are tax-free, the CRA may take this as evidence of poor or illegal practices. The easiest way to avoid this issue is to stay up to date on the CRA’s taxable benefit designations. If you’re unsure, you can always seek help from the experts. A professional employer organization can help you administer your benefits, payroll, and more. The CRA will also determine if the people you work with are indeed employees or if they’re contractors. It’s been increasingly common for employers to misclassify employees as contractors, often to avoid paying associated benefits and taxes for employment. The CRA has been cracking down on this, much like the IRS has done in the US. How can you avoid this audit issue? The easy way is to ensure you’re classifying employees correctly. Take a look at the legislation surrounding the terms “employee” and “contractor” or “vendor” in the province you operate in. This should give you a good idea of whether the person you’re working with is an employee or a contractor. These are only a few of the audit issues common in Canadian payroll. Luckily, most of them are easily managed with proper payroll administration. Payroll can be quite complex, no matter where in the world you operate. It can become more complicated when you’re dealing with international operations. Your HR team may know every little detail of payroll administration in your home country. They’re probably less familiar with the rules abroad, which can lead to mistakes and other issues in your payroll. Whether you’re working with a partner to assist you with Canadian payroll deductions or you’re having your HR team handle them for now, it’s a good idea for you to understand the rules associated with Canadian payroll regulation. This primer will get you started. The first thing you likely noticed upon setting up shop in Canada was that each province had different rules. In some provinces, you can use certain business structures. Other provinces don’t have the same options. The same is true of employment legislation. Ontario, Alberta, and Quebec have just introduced new employment legislation. The other provinces have different rules as well. The same is true when it comes to payroll. 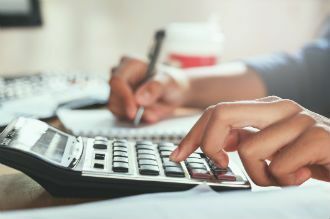 While the federal government does have a fair amount of oversight and the Canada Revenue Agency oversees Canadian payroll deductions, there are still differences by province. First, the rate of income tax differs by province. Ontario has one of the lowest income tax rates, while Quebec has a much higher rate. Income tax withholding will vary by province. Deductions to the Canada Pension Plan also vary by province, with Quebec administering its own plan. Each province has its own rules around calculating vacation pay as well. Canada is famed for its public healthcare system. Although not as robust as that of some other countries, the fact of the matter is Canadians have constructed a “social safety net” over time. You’ll need to pay attention to two programs in particular: employment insurance (EI) and the Canada Pension Plan (CPP). As already mentioned, Quebec tends to run its own programs, including the Quebec Pension Plan (QPP). Both of these programs are funded by payroll deductions from your employees. 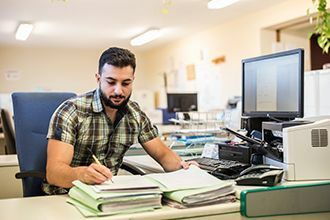 As an employer, you’ll be expected to match employee contributions to the CPP, known as the “employer portion.” The CRA provides guides about how to calculate deductions for both these programs. Depending on how your benefits program is structured, you may or may not deduct premiums or portions of premiums from your employees’ paycheques. Each province will have different rules governing how to go about doing this. Keep in mind healthcare benefits vary from province to province as well. Ontario, for example, just introduced prescription coverage for people under 25 years of age into its provincial healthcare program. 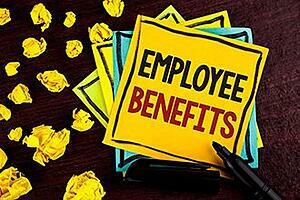 You may want to revisit your benefits package and ensure what you provide for employees is still meeting their needs. Some benefits are considered taxable, so you’ll want to keep a close eye on the CRA’s guidelines for benefits. If you reimburse your employees for mileage, travel expenses, or relocation expenses, you might need to deduct taxes. Finally, bonuses and other cash or valued benefits might need to be taxed. Once you’ve finished deducting all these taxes and fees, you’ll wonder what to do with the money you’ve collected. Most Canadian payroll deductions are remitted to the CRA. In the case of benefits premiums, those funds would go towards paying for the benefits themselves. The CRA will ask you to remit to them on a schedule in line with your payroll periods. For example, if you pay your employees every two weeks, you’ll need to remit deductions to the CRA every two weeks. Late payments and failure to remit can result in fines and penalties. If you have questions about Canadian payroll deductions, get in touch with the experts. They can answer your questions and guide you through the Canadian payroll process. 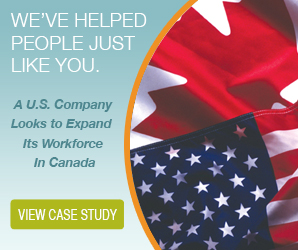 Many U.S. business owners eventually end up hiring at least some Canadian staff. Whether you hire one employee to work for your American operations because they’re the absolute right fit or you have a number of Canadian employees working for your Canadian branch operations, you’ll end up paying Canadian employees. Many U.S. business owners believe paying Canadian staff is quite straightforward and simple. In many ways, it is. It can also be much more convoluted than you may anticipate at first glance. There are many things to know. Being familiar with the different legislation applicable in each province is a must. Here are five rules you’ll want to keep an eye on when you pay Canadian staff. Perhaps the most important thing any U.S. business owner needs to know about paying their Canadian staff is the need to keep records. 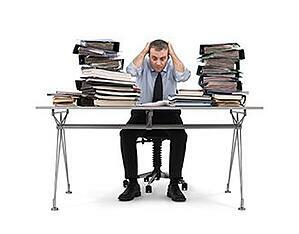 In Canada, record-keeping for your payroll is quite important. 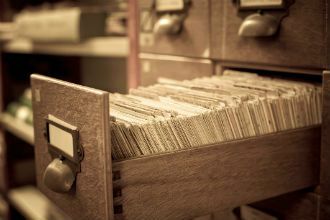 While you should be keeping records anyway, you’ll want to review the requirements for your payroll records in Canada. The requirements are set out by the Canadian government and administered by the Canada Revenue Agency (CRA). 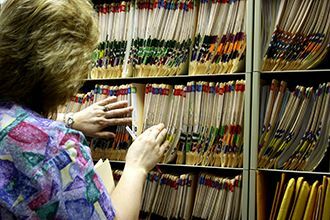 Failure to keep proper records can result in penalties and even criminal charges. Avoiding this situation is quite simple. Make sure your record-keeping is in good order and it should be smooth sailing. Most Canadian provinces outline vacation requirements. In Ontario, for example, employees are entitled to paid vacation time. This is also true in Saskatchewan, but the amount of time and how pay is calculated is different in each province. U.S. business owners will want to pay particular attention to how vacation pay is calculated in each province they operate in, so they can ensure they calculate vacation pay correctly. Calculating vacation pay incorrectly could result in penalties. Sometimes, an employee will end up working more than what’s considered full-time hours. At this point, they begin earning what’s known as overtime. U.S. business owners most definitely need to be familiar with the overtime pay rules for where their employees operate. BC, Ontario, and Manitoba define “full-time” and “part-time” hours differently, in addition to mandating slightly different ways of handling and calculating overtime pay. Overtime pay may also vary based on the industry or occupation, and additional regulations may govern certain professions. There may also be rules about how much time off an employee must have between shifts and so on. Knowing these rules will help you pay your Canadian staff correctly each time they work overtime. Knowledge of the rules can also help you avoid scheduling your staff for overtime unless you truly need to. U.S. business owners are already familiar with the idea of payroll taxes and deductions. After all, you likely deduct from the pay of your American employees and remit to the IRS. In Canada, you’ll do the same thing, except you’ll need to follow Canadian payroll taxes and deductions rules. The remittances are sent to the Canada Revenue Agency. Canada has different deductions and taxes. Again, they vary by province, so you’ll want to read up on which deductions you need to make and how much tax to withhold. Which benefits are taxable benefits in Canada? If you’re a U.S. business owner offering Canadian staff any kind of benefits, you need to know. The CRA classifies particular benefits as taxable and non-taxable. Travel reimbursement and income earned from the sale of shares are considered taxable benefits, for example. As most U.S. business owners already know, payroll isn’t always as straightforward as it seems at first glance. Canadian payroll can be even more complex. Get a helping hand by engaging a Canadian professional employer organization (PEO). They can help make payroll simple again. Payroll is one of the unavoidable tasks of being in business. You have people to pay. This is true almost no matter where in the world you operate. In Canada, you'll need to be sure you're in compliance with Canadian payroll legislation. Perhaps unsurprisingly, even the most knowledgeable of business owners and payroll managers make mistakes when it comes to payroll. Mistakes can become even more common when you operate outside of your home jurisdiction. If you need to administer payroll in Canada, you'll want to be sure to avoid these four auditing mistakes. In Canada, you're required to keep records of your payroll. This won't be too different from many other jurisdictions. Keeping a paper trail is always a good idea when it comes to your payroll activities. Your Canadian payroll records may be held to a slightly different standard. This is because Canadian payroll records are mandated by the Ministry of Labour. The Ministry details which records need to be kept, how they should be kept, and how long they should be kept on file. One easy way to ensure your payroll records are in line with Canadian standards is to work with a Canadian professional employer organization (PEO). They can help you maintain your records and ensure compliance. American business owners may be familiar with this next payroll issue. Misclassification of workers is common in the US, and it happens in Canada as well. Part of the problem for foreign firms operating in Canada comes from the different definitions used. The Ontario government may have a slightly different definition of "temporary" or "contract" worker than the Alberta government uses. Both definitions may be different from the definition you're used to. Misclassifying workers is a problem, and the CRA will investigate. Again, working with a Canadian PEO is an easy way to make sure you're in compliance with the different Canadian laws around payroll and employment. Do you know what counts as a taxable benefit in Canada? You should think about the way benefits are classified and how the CRA identifies them when it comes to your Canadian payroll activities. If you don't realize a benefit is taxable, you may not deduct taxes or treat it properly during the payroll process. If that happens, the CRA may assess penalties or even audit you later. A Canadian PEO knows the different rules surrounding different types of benefits you may offer your employees. Working with them can simplify and streamline your payroll process, in addition to ensuring you treat benefits correctly. Another common mistake for business owners and payroll managers to make when it comes to Canadian payroll is missing remittance deadlines. If you're not familiar with the Canadian tax calendar, you may miss a deadline without realizing it. Working with a Canadian PEO can help you remit your payroll taxes on time each and every time. It doesn't matter if you remit on a weekly basis or a monthly basis. They can also help you prepare annual tax filings. These errors are likely to trigger a CRA audit when you do file. If you're consistently late in remitting your payments, the CRA may decide to audit your books. The same is true if you've misclassified workers. If you avoid these errors, you'll likely avoid being audited in the first place. If you can show good records and have your classifications in order, you'll be in much better shape if you do need to undergo an audit. Don’t put your company at risk. Working with a Canadian PEO can help if you are selected for an audit. Talk to a PEO today and see how they can help you. Payroll deductions are a fact of life in business. If you need to pay your Canadian employees, you’ll need to deal with payroll deductions. For foreign companies new to Canada, the rules around payroll deductions can sometimes cause confusion. Even if your company has been operating in Canada for some time, you may find yourself surprised by some of the rules. Understanding payroll deductions starts with a solid knowledge of the basics. Whether you’re just learning about Canadian payroll deductions for the first time or you’re hoping for a quick refresher, this guide is for you. When it comes to understanding payroll deductions, it helps to start at the beginning. What are payroll deductions and why do they exist? In Canada, as in other countries, your employees need to pay income tax to the federal and provincial governments. Businesses are expected to remit their taxes to the Canada Revenue Agency at particular periods. When this involves payroll and employee salaries, the CRA asks employers to withhold a certain amount from their employees’ pay and remit it. Income tax isn’t the only payroll deduction in Canada. Canadians also pay into the Canadian Pension Plan (CPP) or the Quebec Pension Plan (QPP) in Quebec. In addition, they also pay Employment Insurance (EI) premiums. One key to understanding payroll deductions in Canada is understanding what the CRA classifies as “income” for tax purposes. Obviously, an employee’s salary is taxable income. Bonuses, commissions, tips, and other forms of cash payment are also considered taxable income. Some benefits, such as stock options, vacation pay, and holiday pay may also be considered taxable income for payroll purposes. A reimbursement program to help employees move or a program that assists employees with living expenses could also be considered taxable income under the right circumstances. Other benefits, including many healthcare benefits, aren’t considered taxable. The federal government sets federal income tax rates while provincial governments set the provincial rates. Government legislation also defines CPP/QPP contributions and EI premiums. The CRA usually provides information on current rates. All income tax, CPP, and EI deductions are paid to the CRA, which handles distribution of the provincial portions. Employers deduct these amounts from their employees’ gross salary when they conduct payroll. They then remit these amounts to the CRA on a schedule concurrent with their payroll periods. This could be weekly, biweekly, or monthly. The CRA assesses penalties for late or non-payment of payroll deductions. Using payroll software, using a payroll deductions calculator, or partnering with a Canadian PEO are excellent ways to ensure your deductions are being calculated correctly. Working with a Canadian PEO is the best option if you’re unsure as they act as the employer and handle almost all HR tasks related to your Canadian employees. Payroll deductions seem straightforward at first glance, but they can also become more complex. The level of complexity depends on how many employees you have, your salary ranges, what kinds of compensation you offer, and even where you operate. Payroll deductions in Ontario will not be the same as those in Saskatchewan. Understanding payroll deductions can help you avoid mistakes and penalties. Most payroll penalties assessed by the CRA are easily avoided, provided you calculate your deductions properly and remit your deductions on time. If you’re unsure of payroll or your HR staff is struggling with its administration for your Canadian employees, it may be time to consider working with a Canadian PEO. Since they handle almost every aspect of employment, they can help you avoid mistakes and penalties and ensure compliance every step of the way. Many American companies have operations in Canada. In this day and age, many have Canadian employees, even if they don’t necessarily have Canadian operations. Whether you’re thinking about expanding into Canada, debating hiring a Canadian as the perfect fit for a new role, or have had a long-standing operation in Canada, you probably still have questions about paying these cross-border employees. Paying Canadian employees can be convoluted, but it doesn’t need to be difficult. Here are a few things American companies should keep in mind when it comes to paying their Canadian employees. For your American employees, you likely issue a W-2. If the person is a contractor, you may need to issue a 1099. There are a number of different forms depending on how the employee is classified, how they’re taxed, what benefits you offer, and so on. You shouldn’t be surprised to hear there’s paperwork for your Canadian employees. It also shouldn’t be shocking to discover the paperwork might be different. If you’re hiring the person on as an employee, you’ll still need to issue a W-2. In some cases, such as when the person can claim treaty benefits, you may need to issue different forms. You should always check with the IRS or with a knowledgeable employer of record (EOR) to find out what forms you need and when you need to issue them by. Filing the right paperwork to start simplifies the rest of the process. Right now, the US dollar is valued higher than the Canadian dollar. 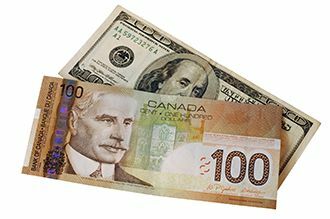 You can buy more Canadian dollars with a single US dollar. This might tempt American companies to pay their Canadian employees in Canadian dollars. This can lead to complications with the exchange rate as the value of the Canadian dollar goes up and down. Why does it matter? You could end up paying Canadian employees more or less every month. If you pay an employee $3,500 Canadian per month, you’d need to pay them $2,700 in March 2018. In January 2018, this same amount Canadian would have cost you $2,800 US. Many American companies find it easier to pay their Canadian employees in US funds since they don’t need to worry about differences in currency valuation. Payroll tax withholding can be a bit challenging to figure out for your American employees. For your Canadian employees, it can be a whole other ball game. Canada and the US have treaty agreements to avoid double-taxation, meaning your Canadian employees will most often pay taxes in Canada and not in the US. Their income is subject to Canadian payroll tax legislation. This can vary by province, so American companies need to pay attention to the rules where they operate or where their employees live and work. In some cases, employees may be exempt from paying tax. In other cases, they might be required to pay tax in both Canada and the US. As you can see, payroll withholding and taxation for Canadian employees working for American companies can become quite complicated. If you’re not sure, consult with the experts. They’ll be able to steer you in the right direction. These are just a few of the problems American companies frequently encounter when they need to pay Canadian employees. There are more. If you’re feeling overwhelmed or unsure about the best way to go about paying your Canadian employees, consider partnering with a Canadian employer of record. They can help you navigate the tricky waters of cross-border payroll and taxation. Payroll is a fact of life for every business owner and HR manager. You have to pay your people, no matter what industry you’re involved in. Since the activity is so common, mistakes are also fairly common. Some payroll mistakes happen more frequently than others. You shouldn’t be too alarmed if you see any of the following. Mistakes happen to even the best professionals from time to time. What you should do is take corrective action. Luckily, it’s easy to avoid all four of these common payroll mistakes. This payroll mistake often happens at the start of someone’s employment with your company. When you hire them on, you’ll be required to classify the employee for payroll and taxation purposes. Are they a full-time employee, a temporary worker, or an independent contractor? Employers frequently make mistakes when it comes to categorizing their employees. The most common error is classifying someone as an independent contractor when they are, in fact, an employee. Some employers may even do this purposefully. 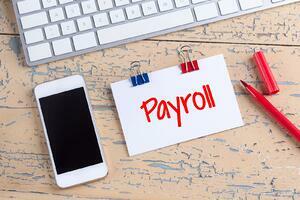 How can you avoid this common payroll mistake? It’s easy! Make sure you’re classifying your employees correctly from the time they’re hired. Review the terms of their employment and compare the definitions used by the CRA and in provincial legislation. If you’re still unsure, you can ask the experts. You probably know you need to calculate employment taxes on your employees’ salaries. What about the rest of the compensation you provide? For example, vacation pay is also taxable. Other benefits become more complex, so you may want to keep a list of what’s considered taxable income and which benefits are taxable. One taxable benefit employers frequently forget is reimbursement for an employee’s personal expenses. Did you help an employee with the costs of relocating? If you provided compensation for work-related travel, it’s considered taxable income. How can you avoid making this common payroll mistake? The easy answer is to check out what the CRA classifies as taxable income. It keeps a list on its website. If you’re still not sure, you can always contact your employer of record (EOR). Check out the tax implications before you offer any new benefit. Not only will this help you determine the true cost of offering the benefit but it will also help come tax time. The CRA maintains different schedules for different types of remitters. Very few businesses only need to report and remit their taxes once per tax year. While you might still find yourself in a flurry of year-end taxes come April, you should probably keep an eye on additional deadlines the CRA may have set. Missed deadlines are a common payroll mistake, but they can be costly. How can you avoid them? The best way is to keep the calendar handy. You may program your payroll software to remind you about upcoming deadlines. Don’t forget to schedule extra staff or talk to your payroll provider about your deadlines. The easiest way to avoid this error is to partner with an employer of record in Canada. They’ll keep your deadline schedule handy and work to ensure all of the due dates are met. This particular error isn’t like the other payroll mistakes on this list; the CRA won’t give you a penalty or audit you if you don’t partner with an EOR or get a helping hand with your taxes. That is, so long as you do everything correctly. Not working with an EOR for payroll often leads to other payroll mistakes. In turn, you may be assessed penalties and audited by the CRA. The easiest thing to do is team up with someone who knows the ropes. You can avoid common mistakes and make administering payroll so much simpler. Do You Have to Register for a GST Account When Paying Canadian Employees? One of the complexities of operating in Canada is needing to know the ins and outs of taxation for your employees. The Canada Revenue Agency handles import and export fees, payroll taxes, and sales tax remittances from Canadian businesses and foreign businesses operating in Canada alike. If you’re not Canadian, however, the idea of sales tax may be somewhat confusing. The CRA isn’t particularly clear on who needs an account to handle sales tax either. Many business owners and managers alike ask whether or not they need a GST account when they need to pay Canadian employees. In Canada, the federal government levies a five percent sales tax on goods and services. This is known as the “general sales tax” or GST. Most provinces (with the exception of Alberta) also have a sales tax. This is sometimes known as the “provincial sales tax” (PST). In provinces where the CRA is responsible for both, the tax is combined and is known as a “harmonized sales tax,” or HST. Depending on which province you operate in, you may be required to collect PST in addition to the GST. Provincial rates vary. For example, in Ontario, the provincial portion of the tax is 8 percent. The HST rate is thus 13 percent. GST is applied to most sales of goods and services. If you deliver a good or a service to a client on Canadian soil, you’ll likely need to charge them GST/HST on the purchase. There are some exceptions. For example, food products deemed “necessities” do not have GST/HST applied to them. Foreign clients, such as those operating in the US, will not be charged GST/HST, since the service or good is deemed to have been delivered on foreign soil. The other major exception is the size of your business operation. If your business earns under $30,000 Canadian per year, you are exempt from collecting HST/GST from your clients. If your business income exceeds $30,000 per year, you’ll be automatically registered and required to collect GST/HST. Some business owners opt to register for and collect HST/GST even if their revenue is under $30,000. At the end of the year, you can use any HST/GST you’ve paid out on your business expenses as “credits” against what you owe the CRA. As a result, you may not need to pay all of the HST/GST you’ve collected. While you can still use HST/GST credits if you don’t collect HST/GST, having those funds sitting in an account earning interest is considered a wise business plan by some. It’s also a good idea if you suspect you may exceed the $30,000 limit. The simple answer here is no. GST/HST is a sales tax, not a payroll or income tax. As a result, you do not need to register for a GST/HST account to pay your employees in Canada. What you do need to do is register for a federal business number so you can remit payroll taxes to the CRA. The CRA uses this number to assign your business import, export, payroll, and GST/HST accounts. When you register for your federal business number, the CRA may automatically set up a GST/HST account for your business as well. It’s important to remember you do not need to collect GST/HST unless you’re making more than $30,000 per year. If you are or suspect you will, go ahead and collect HST/GST from your clients. If you don’t, you don’t need to pay the CRA GST/HST, and you won’t need to use the account, even if they did create one. It’s easy to see how the intricacies of the system can become confusing! If you’re still not sure, talk to a Canadian Employer of Record today. They can help you sort out what you need to do. Tax season has arrived! As you busily prepare your return for the 2017 year, your thoughts may have already turned to how you can better prepare for this year. If your bookkeepers are flustered and overworked as they scramble to get your 2017 tax return in order, they’ve no doubt wondered if there’s an easier way to do things. As the old saying goes, an ounce of prevention is worth a pound of cure. Instead of trying to fix everything at the end of the year, you’re thinking about how you can get it right out of the gate instead. Wouldn’t it be wonderful if you could be sure you were calculating and collecting the proper payroll taxes and calculating vacation pay properly? You can! Give the updated 2018 Canadian payroll calculator a shot. As with almost any government revenue department, the Canada Revenue Agency (CRA) updates its rules and processes on an almost yearly basis. This reflects changes in legislation, which then affect how businesses are to administer payroll and what withholdings they need to collect. Sometimes, legislation changes are the result of new government bills being passed into law. In other cases, the changes result from provisions in laws already on the books, which see increases (or decreases) over time. New tax credits come and go, and income tax rates change. You should always check in with the CRA or your Canadian PEO to find out about the latest changes and updated rules to make sure you’re up to date. The other issues complicating payroll are the changes within your own business. Employees get raises or are promoted and end up in new tax brackets. Someone accrues more vacation days or more sick days because of the length of their tenure with your business. You may decide to offer a benefit or restrict your existing plan. All of these changes can affect your payroll and the withholdings you need to collect. You might also change your operations. Maybe you’re hiring temporary or seasonal employees for the first time. Maybe you’ve just expanded your operations from Ontario into British Columbia as well. You have lots to learn. Why Use a Canadian Payroll Calculator? With so many different things to keep track of, from CRA rules to expansions in your business itself, you might wish there was a tool to help you. The good news is there are tools available. Payroll calculators were created to help business owners and accounting professionals keep things straight when it comes to figuring out payroll and withholdings. A Canadian payroll calculator in particular helps you keep track of payroll deductions for each of the 10 provinces and three territories. Calculators come with pre-set functions. You input the information, such as the employee’s hours, their rate of pay, and where they work, and the calculator will do the rest. The best calculators ask for more information, but even the most basic can give you a quick check to ensure you’re on the right track with payroll. As useful as calculators are, they’re not much help if they’re outdated. It’s why you need to give the new 2018 Canadian payroll calculator a whirl. If you’ve been using the 2017 calculator, you may be surprised to find just how much has changed between last year and this year. What changes are there? You can take a look at the CRA’s website for a comprehensive listing of all the changes to the tax regime in Canada. The updated 2018 calculator reflects all of these changes, which will help you estimate payroll more accurately. Better estimates mean fewer errors to correct and less scrambling later on. Try the new 2018 Canadian payroll calculator for yourself! Your accounting and HR staff will thank you.